The first reason is that the Passion and the Cross of Christ are integrally tied together with the Resurrection of Christ. 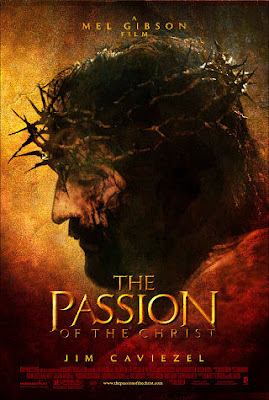 When the Passion and the Cross are disconnected from the Resurrection of Christ, then they do not express the crucified-resurrection experience of the Church. The second reason is that the Cross and Resurrection of Christ are historical events that took place at some point in historical time, but it is ultimately a mysterious and lived experience within the heart of man, which is transformed with repentance, Orthodox asceticism, and the sacramental and liturgical life. Therefore, it is not an aesthetic issue, but ascetical, mystical and devotional. The third reason is that the Church, by reminding us each year of the Passion, the Cross and the Resurrection of Christ, doesn't urge us towards an emotional feeling, a vision or to hear these events, but towards a personal co-crucifixion and co-resurrection with Christ. That is, it is not intended to emotionally charge us or to bring remembrance, but to transform our passions and to psychosomatically transform us. It is precisely for these reasons that the Church invites us to experience the mystery of the Cross and the Resurrection of Christ in worship, but most certainly within the context of Orthodox asceticism. With worship, asceticism and the sacraments, especially the Mystery of the Divine Eucharist, everyone can experience mystically and spiritually, as well as psychosomatically, the mystery of the Cross and Resurrection of Christ. Of course we live in an era of emotions and sensations, which is why people prefer to see Christ through films and not experience Christ with the conditions recommended by the Orthodox Church. They would rather experience Christ in the flesh and not in the spirit. But such aesthetic approaches to the Cross and Resurrection of Christ, besides diverting us from the mystery of the crucifixion-resurrection, it simultaneously leads us to heretical deviations, because the presentation of the human element of Christ in films leads straight to Nestorianism. We must realize the great importance of Orthodox asceticism, ecclesiastical worship, and the sacramental life. Every human approach to Christ increases existential frustration. Source: Paremvasi, "Τα πάθη του Χριστού", March 2004. Translated by John Sanidopoulos.